The Southern California/Baja Gallery represents this diverse marine environment in 18 exhibits. At the entrance of the gallery is the impressive Honda Blue Cavern. 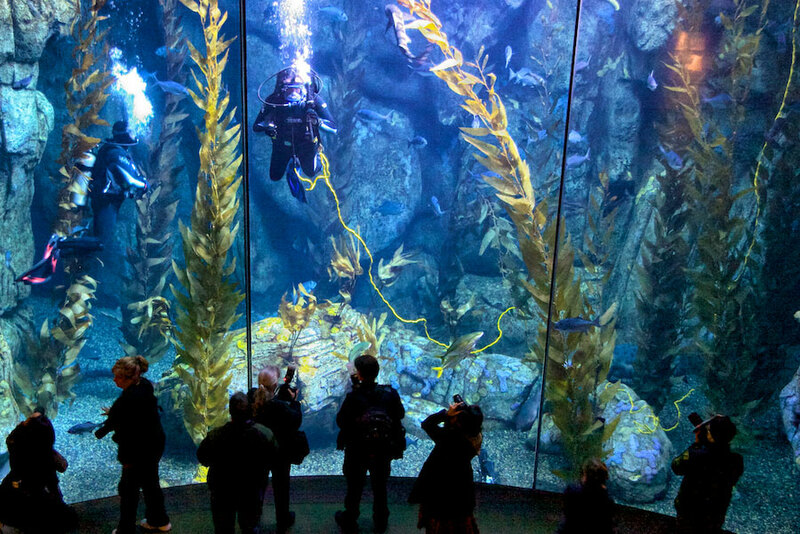 This 142,000-gallon, three-story high exhibit stands at the end of the Aquarium’s Great Hall of the Pacific and features ocean inhabitants found off the coast of Catalina Island. Entering the gallery, one is greeted by the Amber Forest. 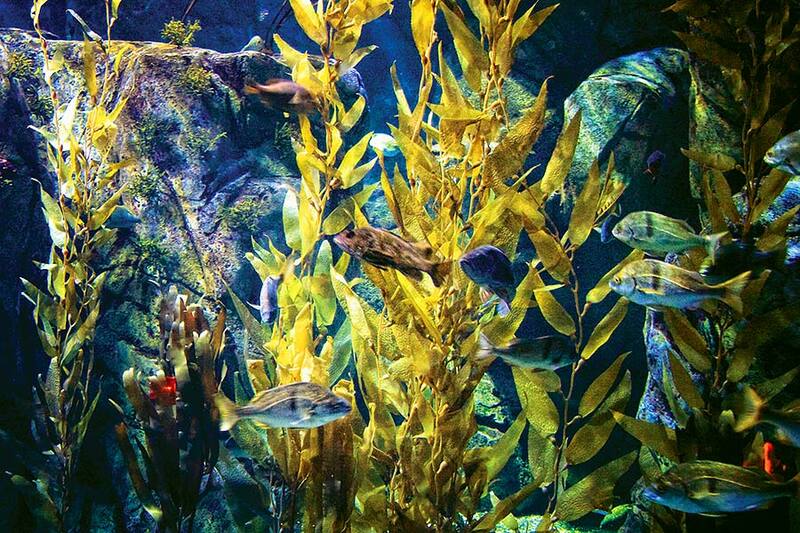 Featuring a beautiful bed of giant swaying kelp, this exhibit offers a glimpse of the colorful garibaldi (California’s state fish), giant spined sea stars, California scorpionfish, and many other examples of local Southern California ocean life. Also in the Southern California/Baja Gallery is the 211,000 gallon Seal and Sea Lion Habitat. The Aquarium’s Gulf of California exhibit features some of the variety of one of the most biologically productive and diverse seas in the world. It includes unique species of butterflyfishes, and large silvery fish called Mexican lookdowns. 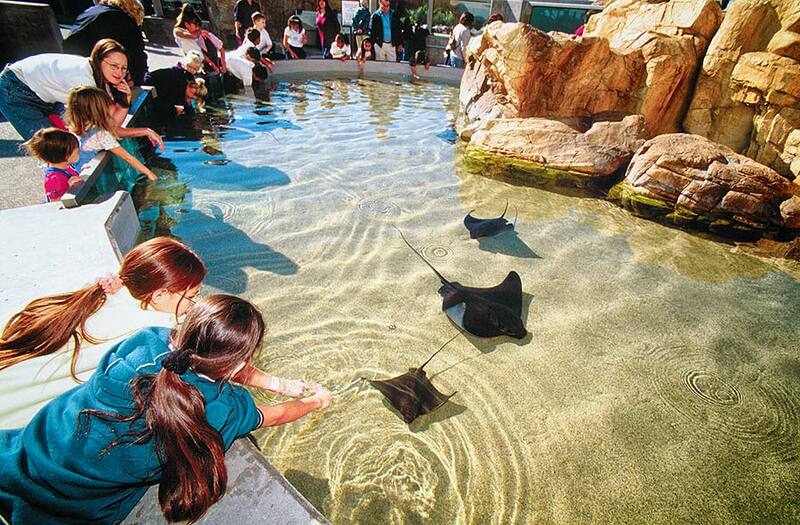 Guests may also enjoy the Ray Touch Pool, and Shorebird Sanctuary, and Wetlands exhibits, and many more in this rich gallery highlighting Southern California’s coastline! 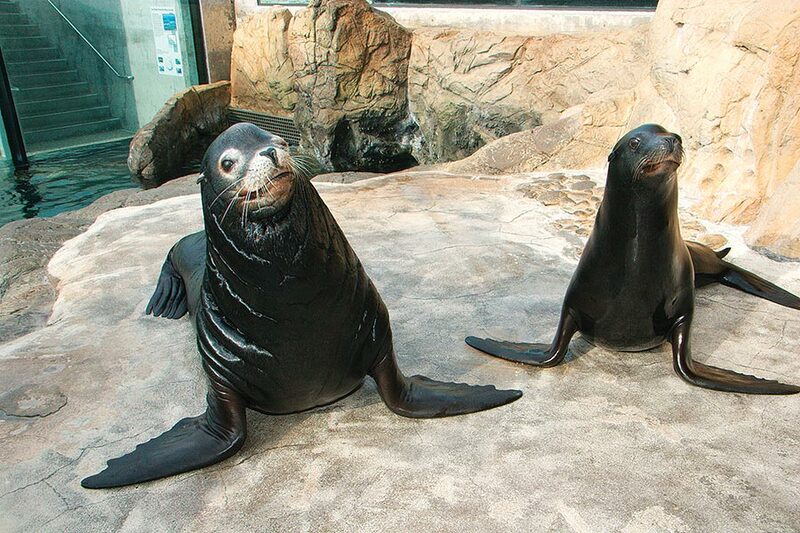 The Aquarium’s Seals and Sea Lions Habitat in the Southern California/Baja Gallery is home to harbor seals and California sea lions. The Gulf of California is one of the world’s most biologically productive and diverse seas. Described by Jacques Cousteau as the world’s aquarium, the Gulf of California is home to many unique species, including the endangered vaquita (the world’s smallest porpoise) and the totoaba fish.